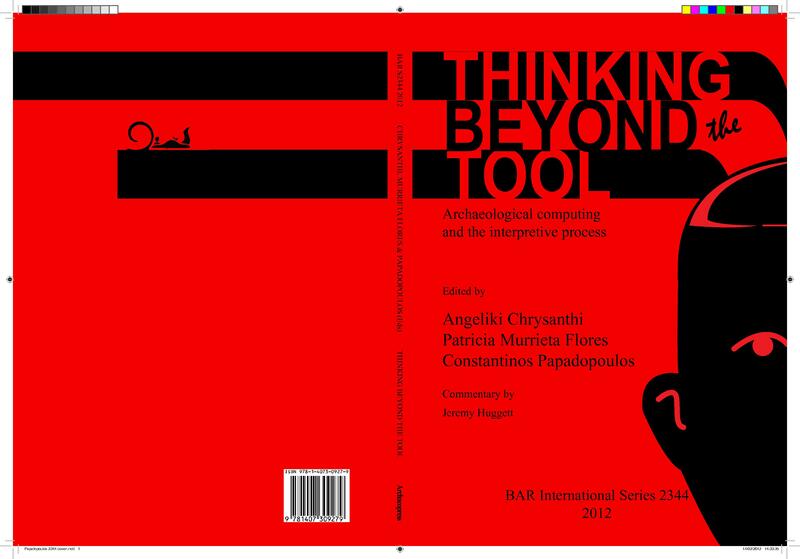 Just a quick note to let you know that our book “Thinking Beyond the Tool: archaeological computing and the interpretive process” (cover by Javier Pereda) is already in press. The book will be out by the end of March and those of you coming to the CAA2012 keep an eye for it at the Archaeopress stand! Many thanks to all those – both authors and reviewers- who have contributed to this! The early bird registration rates will end on 1 February. We very much look forward to seeing you in Southampton in March. As part of the registration process we would very much like you to provide us with your social media profiles e.g. twitter, linkedin, academia etc. If you agree we will place these on the CAA2012 website in order to create an online community in advance of the conference and to help interactions during and after it. Please also follow @caasoton if you are a twitter user for regular updates. Hey guys, I hope you had a great holiday. Here is the timetable for CAA 2012. It has been a crazy day at CAA2012 HQ. We are now approaching 300 submissions for the conference, with an amazing range of topics. So, thank you VERY much for your submissions. We have also received a lot of requests for slightly more time, and so we have decided to extend the deadline until 11:59pm UK time on Wednesday 7th December. Submission is via the Open Conference System. We will still endeavour to release the programme before Christmas so to help the referees please get your submissions in as early as possible. We will also be announcing the registration fees and process next week. The website also carries details of the Student Bursary application process which is now open. Also remember the Recycle Award. The study of spatiality is one of the most important issues in Archaeology. Since the very first moments of the discipline, the understanding of spatial relations has been a key factor for interpreting past social dynamics. The importance of spatial analyses has led to the appearance of specific issues within Archaeology, such as Landscape Archaeology, Spatial Statistics, Cognitive Archaeology, etc., all of which can broadly be included within the Spatial Archaeology issue. On the other hand, in recent years there has been great improvement in recording methods and analysis tools, mainly thanks to the generalization of GIS, which has contributed to the development of spatial analyses. However, these methodological improvements and conceptual developments have not always had an accompanying parallel theoretical dissertation about the real application of spatial analyses to archaeological interpretations; spatial analyses usually focus on geographic data and cartographic outcomes which have to be inserted into a previously defined, fixed framework valid in its own right, instead of really trying to link those results with the proposed interpretations. In these cases, space is automatically assumed to be a fully significant concept, either from an economic or relational perspective, but without a serious discussion of what it really means with relation to each particular case. The main aim of the Debating Spatial Archaeology International Workshop is to provide a debate forum where archaeologists can discuss what space means in Archaeology, how it is perceived and interpreted by archaeologists, and why. Keeping in mind the need for a connection between methodology issues, analysis results and interpretations, participants are encouraged not only to analyse spatial variability, but to point out the probable reasons for such variability from in terms of social space, as well as to discuss how their spatial analyses can improve the understanding of social and historical dynamics within their case studies. You may choose to present your research via a long paper (20 minutes plus 10 minutes for questions and handover), short paper (10 minutes plus 5 minutes for questions and handover), or a poster. You may submit your research to a specific proposed session or to the general session. Poster sessions will run on each day of the conference and posters will be linked in the conference documents and website to the sessions to which they were submitted. Please indicate your preference in your submission. The deadline is 11:59pm 30 November 2011. Accepted papers will be announced and conference booking system will open on 21st December 2011. Please note that at least one of the authors of a paper or poster must be registered for and attend the conference. All research presented at CAA2012 may be submitted after the conference for peer review for publication in the conference proceedings. These will be published prior to CAA2013.